A man’s dirt is his woman’s wash,always. If a statement like that does not make you cringe, I wonder what your reaction would be to the many more utterances by characters in this book who dream of hope, but find themselves bound by their gender, religion, status and societal expectations. Set fifteen years before the 1991 civil war in Somalia, the story is told from Idil’s point of view. She’s a young, bold woman who chooses love over class and social status. She get’s married to Sidow, who is considered a Boon hence of a lower class. She is Bliss, and does not care much for her mother’s warnings or even Sidow’s mother’s warnings about how wrong they are for each other. Idil has two brothers; Omar is the eldest and his love for torturing and killing cats paints the picture of a dictator before he even turns nineteen. Elmi, the one with a heart full of love and compassion, who sees Idil’s pain before she speaks of it. The book starts with a girl’s adoration and love for her family especially her Father, General Hussein Nuur, who is expected home after a long stay in Russia. His return soon unravels his infidelity and Idil, the only girl in the family, begins to question his actions and the consequent reaction to the acts by her mother. The more she asks the more her mother silences her, expecting her to accept and move on, but it is clear from the first page that Idil is not the kind to back down. However, it is her tenacity that sees her through the challenges she faces in her married life. Like most books where women are oppressed, here Idil constantly asks why her mother and so many women around her choose to accept decisions made over their lives without their consent. It is more of wondering why they choose to fold their hands and accept to be treated as objects. It is clear when Idil’s mother seeks out Rhoda as a bride for her eldest son, Omar, yet he’s already married to an Italian lady. Idil tells Rhoda the truth about her situation hoping that she would decide to call off the wedding, but comes to learn that her Father had traded with Rhoda’s family too by offering her hand in marriage to Jamac, Rhoda’s brother, in exchange. It broke my heart when Idil, Sidow and their family were forced to leave Bledley and venture forth into Mogadishu because they could no longer depend on their farm to sustain them. I do not know what grief they felt at having to leave the one place they loved, not because they wanted to, but because they needed to do so just to survive. Reading the book after this became unbearable with the war and the family struggling to stay alive. I love Fartumo’s writing. Her tone takes whichever form it can to advance the plot and in all you cannot help but root for Idil to make it through. Her resilience is evident in her daughter, Amina, and it leaves you wishing for the best that no matter what happens Idil would never let society silence her daughter’s voice. What came across as quite odd, was that the people who deemed themselves worthy and of a higher class, Bliss, were wicked, selfish, violent and cared less about women. 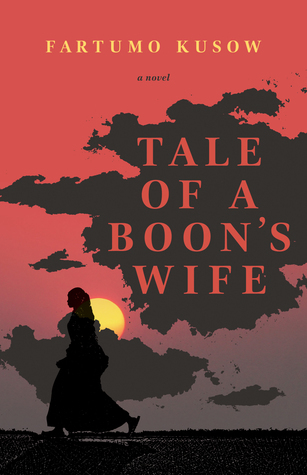 The Boons who were seen as unworthy on the other hand showed more compassion and understanding. Elmi said it better at some point when he was talking to Idil, There is always a huge gap between what people seem to be and what they really are. I would like to read more of her works. Thank you Second Story Press and NetGalley for approving my request to read this book. I heard about Fartumo from a friend long before I got to read this book. I am glad she wrote this story.